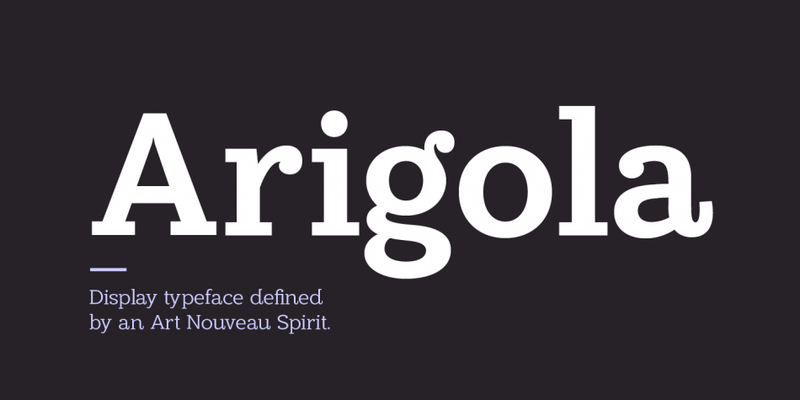 Arigola is a slab serif typeface created by Rebecca Hurst and published by The Northern Block which is available in 4 weights and it has a range of alternative characters to give a unique look to any piece of work and help projects stand out from its competitors. Also it has multilingual support! Enjoy! Price: starting from $27,97 for one font to $53,06 for all 4 fonts. A font description published on Wednesday, November 2nd, 2016 in Fonts, Rebecca Hurst, The Northern Block by Alexandra that has 1,854 views.